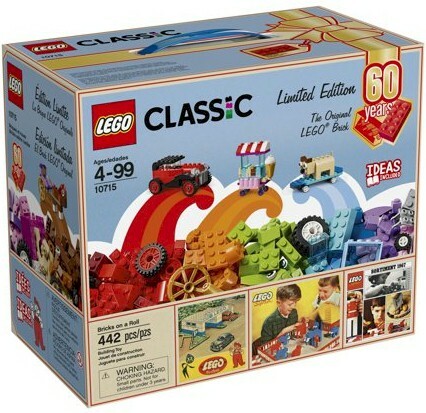 Jet.com has got the LEGO Classic Bricks on a Roll 60th Anniversary Limited Edition (#10715; 442-pieces) for $20.00. 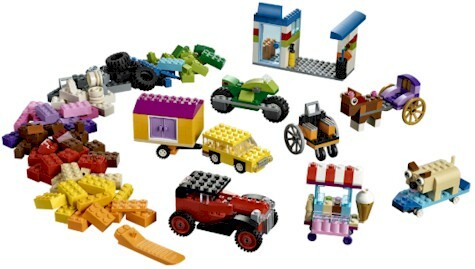 Features a wide selection of LEGO wheels, plus a mix of bright and colorful LEGO bricks and special pieces, including shapes and eyes. This LEGO Classic building set fosters open-ended creativity and imagination. Includes age-appropriate building instructions with 3 levels of building complexity. Walmart has got the same set for the same price, here.